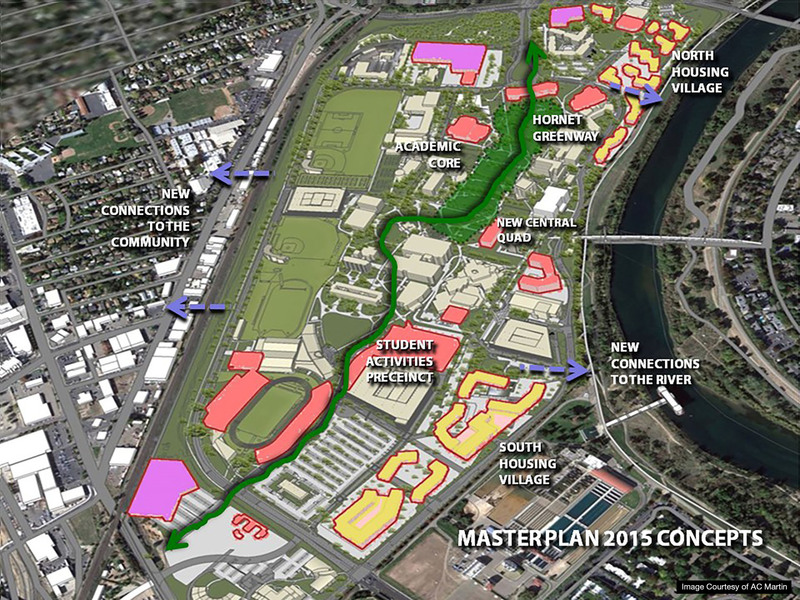 The 2015 master plan for California State University (SCU), Sacramento is designed to support and advance the University’s education mission by providing a guide to the development of the 300-acre physical campus and its facilities over the next twenty years as it accommodates enrollment growth up to 25,000 students. 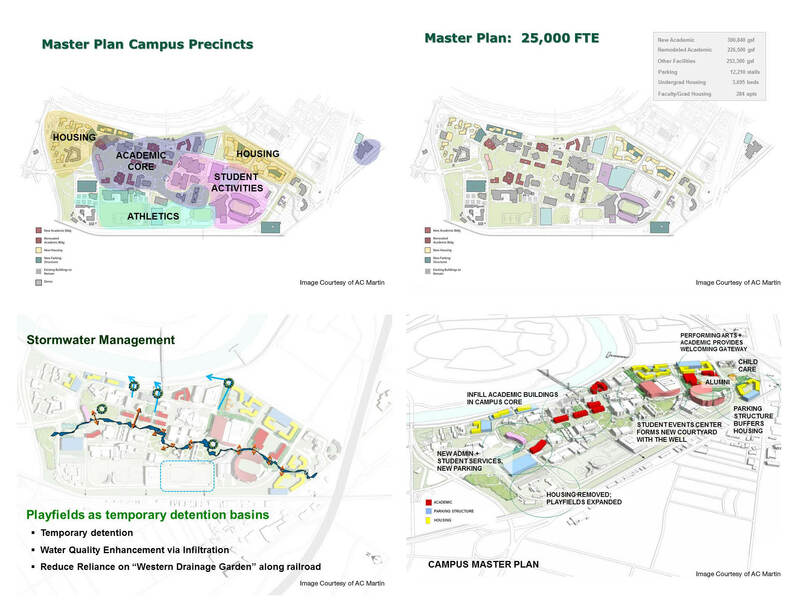 The primary elements of the 2015 master plan focus on the phased replacement of aging academic and administrative facilities in the academic core; expanding student life and campus life amenities; increasing on-campus student, faculty and staff housing to reinforce a 24/7 campus environment; and enhancing the existing “Tree Campus” with a new central open space that connects the north quad with the central Library quad and the Well quad to the south quad, thereby maximizing intra-campus connectivity. A central feature of the open space system is a landscaped drainage swale that not only provides an aesthetic element running through the heart of the campus but also a functional stormwater management component of the overall campus sustainability strategy. 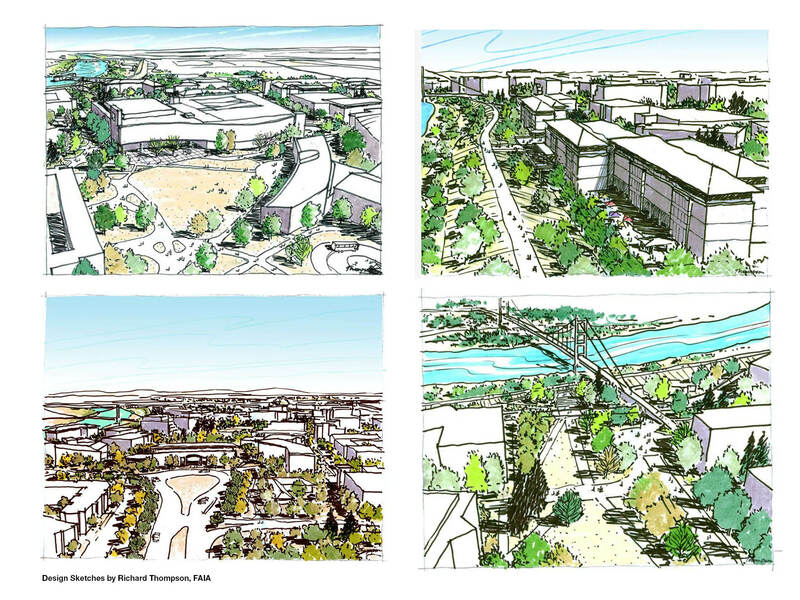 Implementation of features such as the expanded use of photovoltaic systems, high-performance building envelopes and bioswales, and drought tolerant landscapes aid the campus’ resiliency and cultivate environmentally-responsible future generations. 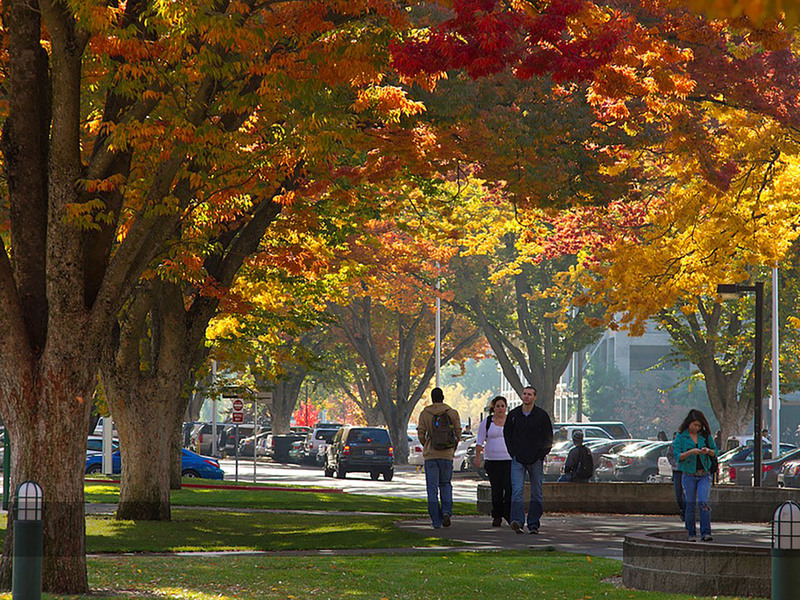 A robust Transportation Demand Management (TDM) including improved transit service; bike and pedestrian amenities; carpool incentives; ride-matching program; and shuttle services will all help reduce the demand for costly future parking structures, traffic congestion and the related negative environmental impacts of air pollution, greenhouse gas emissions, noise and the consumption of non-renewable resources.